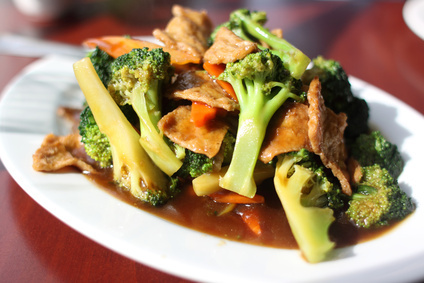 SEITAN is the protein extracted from wheat or spelt and is sometimes called “wheat meat”. 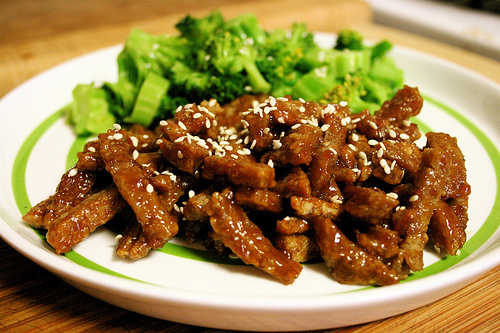 In the Far East, seitan has been used as a source of vegetarian protein for centuries. It is rich, nourishing and creates strength and vitality. Seitan may be used instead of meat in a wide range of dishes, for example, spaghetti Bolognese, lasagne, cottage pie, stir-fries, spring rolls and casseroles. It is not recommended for those who are gluten intolerant or who suffer from coeliac disease. 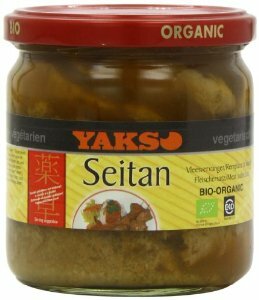 Seitan can be bought ready-made in jars from health food stores but it is very easy to make at home. It is only possible to make seitan from strong wheat or spelt flour typically used to make bread. Other flours do not have sufficient quantities of protein of the right structure to stay bound together. Wheat flour makes a harder, more firm seitan than spelt flour. 1 piece of kombu, about 3 inches long. Mix the flour and slowly add the water to make a medium-stiff but not sticky dough. Knead the dough by hand on a breadboard or tabletop, until it feels a bit like an earlobe, for about 10-15 minutes. Add a little more water if needed to get the right consistency. Allow the dough to rest in a bowl of cold water for about 30 minutes. While the dough is resting, prepare the stock. In a large pot, bring to boil 2.5 litres of water. Add the tamari or soy, ginger, and kombu, and simmer for 15 minutes. Remove from heat and allow to cool. This stock must be cold before it is used. The cool liquid causes the gluten to contract and prevents the seitan from acquiring a bread-like texture. The stock will be used to cook the seitan later. Meanwhile, it is time to start washing the dough; use warm water to start with. Warm water loosens the dough and makes the task easier. Some people knead the dough while it is immersed in water in a bowl. Alternatively, it can be rinsed under running water, with the flow stream about as thick as a pencil. The dough can be held in/over a colander to catch any pieces of dough that fall off. The water will look very milky at first and then gradually becomes more ‘transparent’. In the final rinses, use cold water to tighten the gluten. After about 10 to 15 minutes, you will begin to feel the dough become firmer and more elastic. The water will no longer become cloudy as you knead it. To make sure you have kneaded and rinsed it enough, lift the dough out of the water and squeeze it. The liquid oozing out should be clear, not milky. The size of the ball will be considerably smaller than when you began. Place the rinsed seitan in an empty bowl and let it rest for 15 minutes until the dough relaxes. After the dough has been rinsed for the last time in cold water, the gluten will have tightened and the dough will be tense, tough, and resistant to taking on any other shape. Put the seitan in the cold tamari stock. Bring the stock to a boil, lower the temperature, and simmer in the stock for 1 1/2 to 2 hours (45 minutes if the seitan is cut into small pieces). This second step may also be done in a pressure cooker, in which case it would take between 30-45 minutes. To store seitan, keep it refrigerated, immersed in the stock. Use it within 1 week of preparation. You can also find me on Facebook, Twitter, Pinterest and LinkedIn.